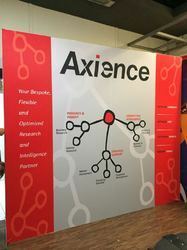 Through the innovative ideas, our experts offer Portable Exhibition displays services that are in-line with the needs of our clients and are cost-effective at the same time. Besides, developed in strict compliance with the international quality standards, the services are known for their quality, effectiveness, reliability, personalized approach and timely execution. Driven with perfection, we are engaged in providing unparalleled services for Modular Exhibition Display Systems, to the esteemed clients. Our modular systems are installed with all the modern communication facilities and advanced technologies in order to facilitate multimedia and audio-visual presentations. Designed in compliance to the international quality standards, the services are known to attract the attention of potential buyers of our clients. Inoways is a professionally managed one-stop destination for all Exhibition Display System, we are geared to assist you with exhibition stall designing and fabrication services, modular displays, corporate branding solutions, web-based solutions, flash presentations, graphic designing, and print solutions. We would like to introduce Inoways as a company offering end to end solution for Portable Fabric Backdrop. Portable systems allow quick, easy and tools free installation, they are light weighted and are easy to carry. 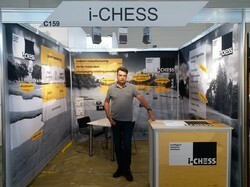 Looking for Portable Exhibition Displays ?